Unlike the other Spanish cities of the time (and other cities that became the heart of their countries, as the history suggests), Havana grew about four, not one, very different squares, which later became the centers of the cultural, religious, political and trade life of the capital. The city has been bursting with life since its birth. Trade ships from all continents left its mark on the architecture of the city, forming its unique style, where the undeniable influence of continental Europe is intertwined with the soft touch of Orient and the colours of Indian spices. The art folks now call it the ‘special barocco’. During day time, the Old Town is full of sounds, colors and perfumes. Pebbled streets are crowded with tourists and the locals, throwing ah hoc shows in the middle of it all, expecting (and often demanding from their spectators) some cash for it. Neighbors are chatting at the barocco and art deco balconies, generously adding hand signs to the dialogue. Music is everywhere. Some buildings are missing the elements of their facades here and there, but the linen in all colors of the rainbow is drying up across the buildings, celebrating life. Around 1 p.m., restaurants and bars start opening up their doors, filling the veins of the city with rum. Celebrating life, in general and in spite of, is a dominant feeling in Havana. It is a city you need to feel. The best way to explore the Old Town is doing so intuitively, following your heart instead of a plan, like I did. It is one of the places to get lost without a map and then to find your way through the labyrinths of small streets, gorgeous buildings and the vintage café sings. Havana Vieja is small and closed for cars: you won’t wander forever and won’t end up in some dodgy neighborhoods. So it is a relatively safe way of getting lost. • Plaza Vieja (the Old Square). Now, if you don’t get the charm of this one when you finally find it, here is a hint: Plaza Vieja has unparalleled collection of its palaces’ entrances. At the time, such columns-adorned fronts were a must in the city architecture, separating the private area of a palace from the public areas of the square. These galleries are still part of the square’s ensemble and are all interconnected: you can make a complete tour of the square in their protective shade. Pretty cool – and explains the beauty of the this ancient food market’s place. • The streets north of Obrapía and East of Paseo Martí (El Prado), especially O’Reilly and Obispo. Havana Vieja oozes history, and every of its buildings is telling a story. Make sure you stop by the house of countess de la Reunion next door to the famous Bodeguita del Medio at Empedrado, 207. When built (in fine traditions of colonial barocco), this house was not meant to impress anyone – and yet it does, by fine architecture of its staircase, its ensemble of long terraces and balconies, all setting trends for Havana’s architecture of the time. A block away, at the corner of Obispo, stop by the hotel Ambos Mundos, room 511 of which was the whereabouts of Hemingway (and is open for visitors). The Old City is completely different by night. I expected lots of life, light, music, rum and dancing on the streets. But no. It was very calm, almost deserted, and in some parts very very dark. Plaza de Armas, empty and solemn, is lit by some soft light, which gives its arcades some good Medieval look and mysterious feel. Streets of Obispo and O’Reilly are lit, too, forming a square of light among the black amass of the sleeping city. At the border of the pedestrian area, the National Theater, absolutely gorgeous, shines next to the somber shadow of magnificent Capitole. And then comes El Prado, the pedestrian boulevard in the middle of Havana. El Prado used to be gorgeous – and it still it, though maybe now it best sums up the touch of time. Guide books often describe the Cuban capital as sinking in economic despair, destroyed week by week and stone by stone by the strong sea winds, merciless sun, the passage to time and the lack of funds. In fact, many buildings are being constantly renovated: the Old Square, for example, used to have an (apparently) ugly underground parking lot, with its palaces turned into offices and other grey commercial property with neither character no care. Not only the parking is completely gone now, the palaces got back their initial glorious look. All that with enormous care and love. So the Cubans do care about their heritage. However, it is mostly true for barocco buildings. Gorgeous art deco – that is, the entire El Prado and more – is not looked at as a treasure and therefore is not maintained in a similar way. So you see a crooked wall, a fell off balcony, a facade with no walls. And the remains of luxury here and there, vividly reconstructing the images of the glorious past. Taking a walk down El Prado is a trip down Havana memory lane: with its grandeur, its dream, its battle, its pain, – and ultimately, its will to live. That’s your touristic tour of Havana. Ready to explore more? For all my notes (and photos) on Havana, read the cover post. For the overall trip route to Cuba and Mexico and its flag posts, click here. Better winter than rain 😉 ! But tomorrow I go skiing on Mount Hood! There is always a bright side !! Have a great Sunday, Natasha! Oh wow. 3 days is the BARE minimum huh…ok we might have to get back to the drawing board and see how many days we can squeeze out to be in Havana! Do that 🤗 more posts calling to the drawing board to follow! 3 days is the BARE minimum huh…ok we might have to get back to the drawing board and see how many days we can squeeze out to be in Havana! […] Of course, exploring Havana Vieja […] !
. When do you finally stop making me want to go to Havanna so badly ?
! 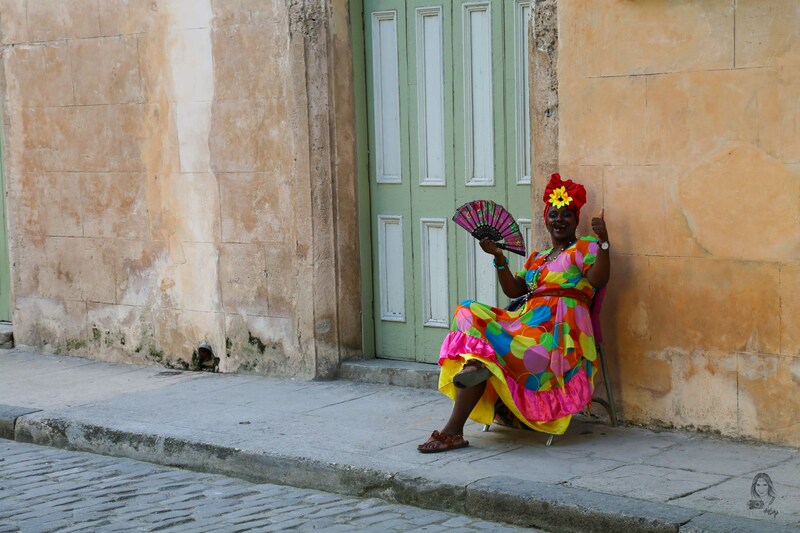 […] Of course, exploring Havana Vieja […] !